Important news regarding the site will be posted here. Non bike related chat in here. Got a picture if your ride? Got some great shots of your last meet? Stick `em in here & let everyone see. A place for your CLEAN funny anecdotes & jokes. Save all NSFW stuff for the playground please. All things related to your machine. This area is for discussions about bikes UNDER 250cc. Item to sell? Pop it in here & see if a fellow member is interested. Got some bike gear you no longer use? Thinking of a new bike but need to sell your old one first? Pop a post in here & pass them onto a fellow biker. This forum is for Non bike stuff. Ride outs, meets, bike show or charity run. This is the place to look. Found a good road or ride out route? Share it with your fellow bikers in here. 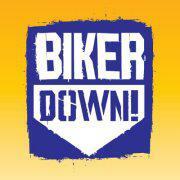 Let your fellow riders know about classic bike shows, Bike Safe courses or any other bike related show or event. Going to see a band play? Off to see a footie match? Want to go with some fellow members? Ask in here & maybe go with some biking friends. Post all forum & computer questions in here. Post all forum related questions & bug reports here.